While Uncharted 4: A Thief’s End was delayed, we won’t have to wait too much longer for it. Naughty Dog announced on Monday an official March 18, 2016 release date for what will likely be Nathan Drake’s final adventure, as well as details on what we can look forward to if we decide to pre-order. 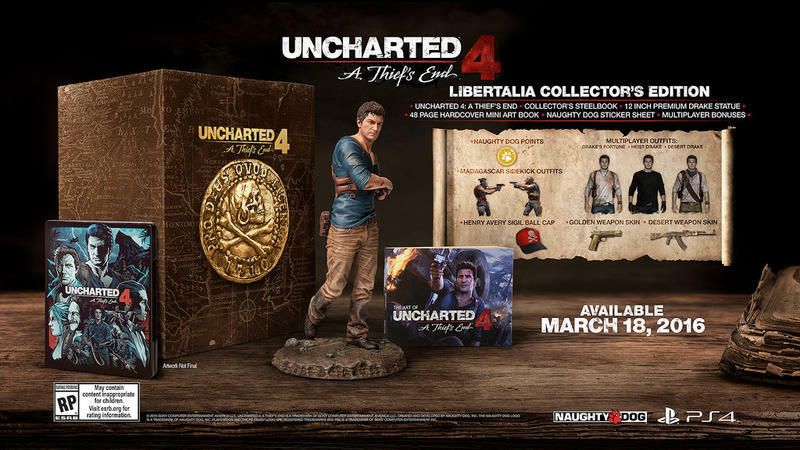 The beefiest collector’s edition, the Libertalia Collector’s Edition, will retail for $119.99 and includes a 12-inch Nathan Drake statue made by Gentle Giant, an actual toy company that makes some seriously high quality toys. It also has some DLC bonuses as well. Included in both the Libertalia edition and the $79.99 special edition are a Steelbook case designed by Alexander Iaccarino of That Kid Who Draws, an artbook, a sticker sheet, and some in-game currency. 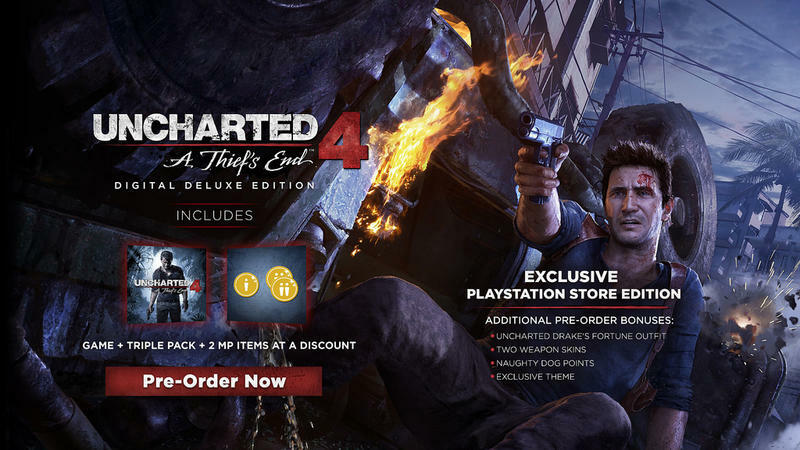 If you’re buying digitally, you’ll get some DLC as well as the Uncharted 4 Triple Pack, which “includes future access to the first-ever single-player story add on for the Uncharted series.” Interestingly, that isn’t mentioned in the other editions, so there’s no word yet on whether this will be included with those. 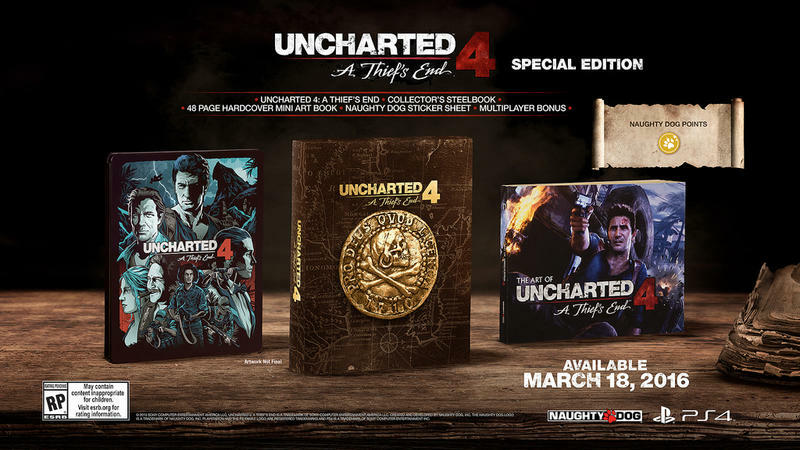 Uncharted 4 releases exclusively on PlayStation 4 on March 18, 2016.